Since 2012, however, optimism regarding emerging markets has steadily soured. A notable and fairly generalized slowdown has cast doubts on the sustainability of their previous high growth rates. In some quarters, the situation has revived old fears of macroeconomic and financial turbulence. Phrases such as “submerging economies” have become common in the financial press. The current deceleration of growth in Latin America and the Caribbean is no doubt linked to developments in China. As China’s growth forecasts have declined, so have the forecasts for the Region. This situation is not without irony. In the early 21st Century the Region’s leaders were concerned about the negative impacts of the rise of China (and to a lesser extent India), fearing that China may outcompete and displace the Region out of global markets. Those concerns in fact motivated the compilation of essays in China’s and India’s Challenge to Latin America. Those early research results showed that the negative effects of the rise of China appeared to be concentrated in a few countries (Central America, Mexico) with high dependence in some industries (apparel, textiles, appliances, and electronics). But overall the book also presented evidence of a hopeful future for Latin America and the Caribbean in the context of a fast growing China. The irony is that today we are afraid of China’s decline. The truth is that major LAC economies experienced lackluster growth for decades before the boom of the 2000s. At the beginning of the 20th century, a simple average of the region’s GDP per capita was about 35 percent that of that of the United States. By 2000, that ratio hovered around 20 percent. Simply put, LAC has hardly kept up with growth per person in United States and, it tended to fall behind. 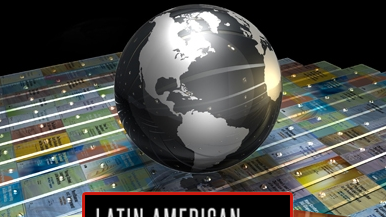 LAC was unable to take sufficient advantage of its connections to the world in general, and to the US in particular, to capture the benefits of technological progress. LAC did not need to invent, just to imitate and adopt technologies, as some economies in East Asia were able to do. Nearly 70 million people were lifted out of poverty in the past decade. Approximately 50 million people entered the ranks of the middle class between 2003 and 2009. Income inequality, as measured by the Gini coefficient, fell steadily, dropping from its peak of 0.58 in 1996 to the lowest level ever recorded in the region, 0.52, in 2011, a decline of more than 10 percent. About one-third of poverty reduction was the result of social policies that transferred incomes to the poor, but labor market income during the boom years accounted for the remaining two-thirds. In other words, growth is required to sustain poverty reduction and middle class expansion. In light of these recent social gains against the backdrop of historically low growth rates, the Latin American Development Forum Series (LADF) can be appreciated for having anticipated many of our hopes and lamentations. The books in the series have analyzed both the long-term drivers of the Region’s growth rates, the tradeoffs that emerged during the 1990s – a period of economic reforms and stabilization, as well as the roots of the Region’s persistent inequalities. Indeed, key analytical underpinnings of the aforementioned report on Economic Mobility and the Rise of the Latin American Middle Class were previously published under the title Measuring Inequality of Opportunities in Latin America and the Caribbean (2009). This compilation of analytical papers collectively presented a picture that reflects the facts on the ground with remarkable precision: economic mobility in the region is tied to income growth first and secondly to social transfers, and it is likely that economic cycles can threaten the gains in economic mobility, precisely because social inequalities remain tied to structural factors. Simply put, the level of wellbeing and human capital of parents tends to be propagated to their children. And now we face the challenge of attempting to sustain the social gains achieved during the boom years but under gradually worsening growth expectations. An important driver of the recently passed boom itself was the subject of analysis of the LADF. It is well known that many of the large economies in the Region are endowed with abundant natural resources and arable land. Even prior to the boom, the series tackled the issue of the long-term consequences of natural resources in the edited volume Natural Resources, Neither Curse nor Destiny (2007). The central themes of the book are encapsulated in its title, namely that abundant natural resources are not systematically associated with low growth rates in the long term and resource-rich countries can accumulate other factors of production through, for example, infrastructure investments, education, and investment in innovation (leading to the accumulation of knowledge capital). Yet the book did warn us about the potential of natural resources being associated with macroeconomic volatility as a consequence of export concentration. This theme was subsequently revisited in Does What You Export Matter? In Search of Empirical Guidance for Industrial Policies (2012). From the latter, however, we learned that there are few reliable empirical approaches for helping policymakers “pick winners” in industries that are not reliant on natural resources, and thus the authors argued in favor of “horizontalish” policies, such as those focused on building endowments of other forms of capital that can accelerate long term growth, regardless of whether they support manufacturing industries to a greater extent than agriculture or mining. What makes today’s productivity challenge pressing is precisely the fact that social progress has been tied to growth. Thanks to current policies, social programs can be maintained in the short term. The risk is that these gains may be lost if growth remains low for too long. With global tailwinds receding, the region will need to rely on its own devices to spur growth. Those devices have only one name: productivity. With scant domestic savings and receding external capital inflows, income growth can be sustained only by productivity gains. Leaders in the region are fully aware of the importance of boosting productivity. But what is this battle about? It is about establishing an enabling environment in which entrepreneurs can emerge, compete, and innovate, a topic addressed by the recent Entrepreneurship in Latin America (2014)? The LADF anticipated this debate in an earlier title as well, Does the Investment Climate Matter? (2009), which sounds prophetic and quaint at the same time, given the current policy debates about the drivers of long term growth in economies where by and large private sector dynamism will be key to sustain growth in the future. Building human capital. The challenge of raising the quality of education remains, but it goes well beyond test scores. For example, LAC has a historic deficit of engineers, dating at least to the early 20th century. Improving logistics and infrastructure. Modernizing ports, transport, and customs can add a competitive edge to products from the region. The current infrastructure deficit also needs to be addressed in order to end capacity constraints that become evident at low growth rates. Enhancing competition. Although the region has globalized, many industries remain sheltered from competition. This protection has the dual negative effects of reducing productivity growth in those sectors and handicapping the export sector, which relies on their services and intermediate goods. Improving the contractual environment. Although intellectual property rights are not the only relevant aspect of domestic institutions that affect productivity, innovation is unlikely to take root without adequate protection. The current context, however, might weaken the fiscal capacity of governments to make necessary investments. On this dimension the LADF series seems prophetic, in part because history might repeat itself. When we were coming out the so-called “lost decade” of the 1980s, which was characterized by painful macroeconomic stabilization efforts that were necessary but the quality of the corresponding fiscal adjustments could have been better. The book, The Limits of Stabilization: Infrastructure, Public Deficits, and Growth in Latin America (2003), recounted how cuts in public investments in infrastructure during the stabilization episodes were not compensated by rising private investment in infrastructure. The result was that long-term growth took a hit as our infrastructure deteriorated. With LAC’s recent social gains, growing demands for access to good-quality services have increased. Middle classes expect not only income gains so that their children will see even more progress in the future but also improved public services for the current generations. With increased productivity, private incomes will rise, increasing public revenues and the state’s capacity to invest in service delivery. In time, if we win the productivity battle, we will enter into a virtuous cycle of stronger public sectors, higher growth, and opportunities for all. In the meantime, I will visit the online portal to review the 30 books that make up the Latin American Development Forum series in search of rigorous evidence about past and future challenges with my eyesight set on a future of shared prosperity in Latin America and the Caribbean. *Augusto de la Torre, is the Chief Economist for the Latin America and the Caribbean Region of The World Bank Group, and a member of the Advisory Committee of the Latin American Development Forum series. I agree with many ideas in the article. A risk in some Latin American and Caribbean countries is that governments may try to maintain growth at an unsustainably high rate through expansionary fiscal and monetary policies, protecting social gains, but only temporarily, while sowing the seeds of painful recessions.